being little • bristol uk fashion & lifestyle blog. : #HomeMovieNight with HMV. In our box of goodies we had everything you would need for the perfect night in - a frozen cocktail, face masks, a candle, popcorn, M&Ms and - of course - a movie! 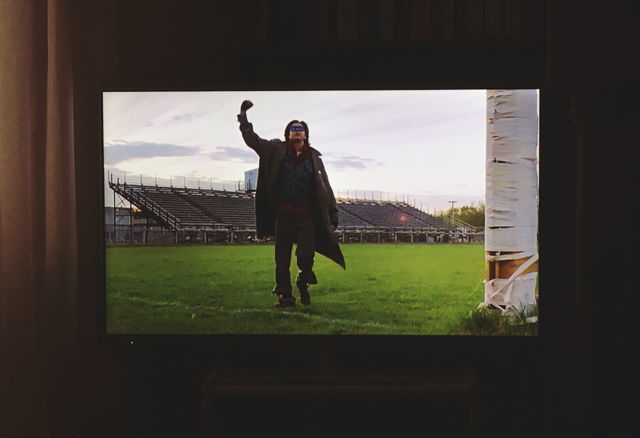 I was very happy to find The Breakfast Club - I absolutely love coming of age films, and I also have a soft spot for 80s films, so this was perfect. 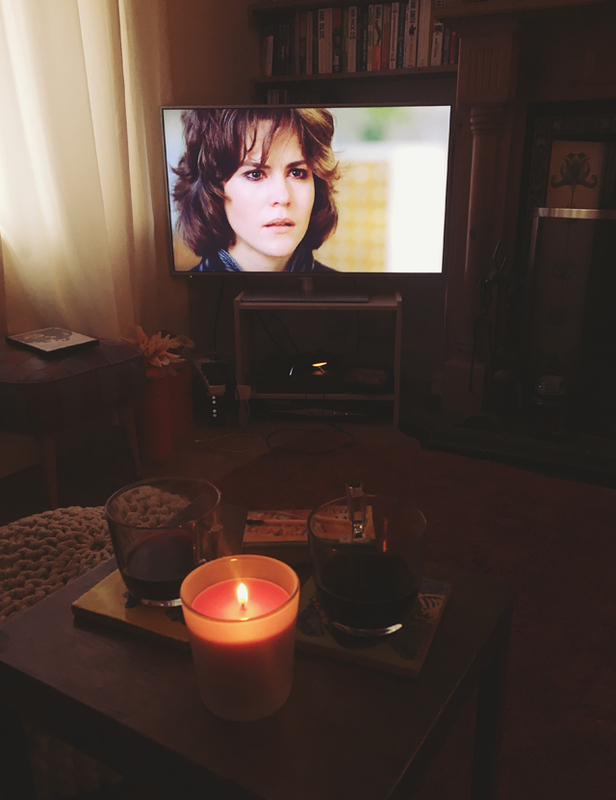 We settled down with our dinner and the troubled teens, and before long we'd cracked out the red wine and the candle. 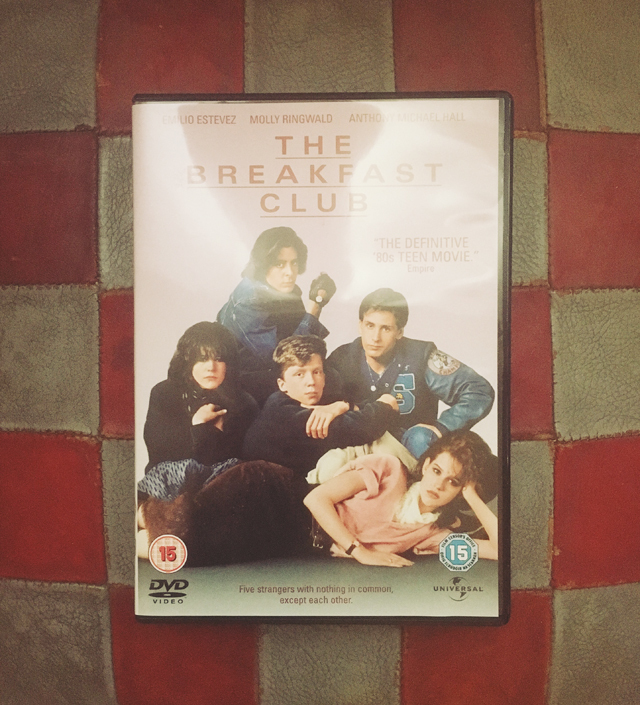 Once we'd finished The Breakfast Club and revelled in *that* famous moment (see above) we got talking about other amazing 80s films, and raided Lily's DVD shelf. 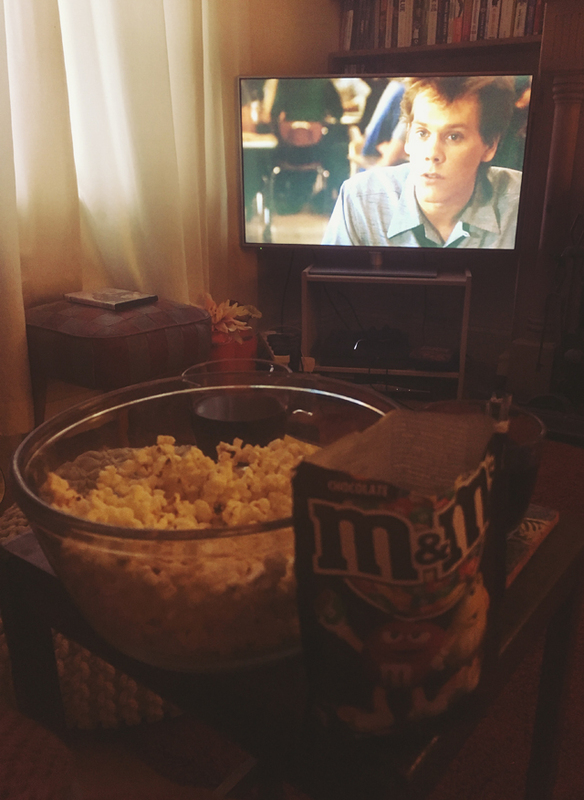 I had somehow never seen Footloose, so we popped that on and popped some popcorn too. What can I say... I now want to create an interpretive dance for every emotion I feel. What a film. It was so nice to have a relaxing evening in on Lily's comfy sofa. Movie nights are something that I rarely think to do these days, but I've already made plans with another friend to do the same! It's nice to make an event of it too, and go all out with the snacks and the pampering! When was the last time you had a #HomeMovieNight? So cute! 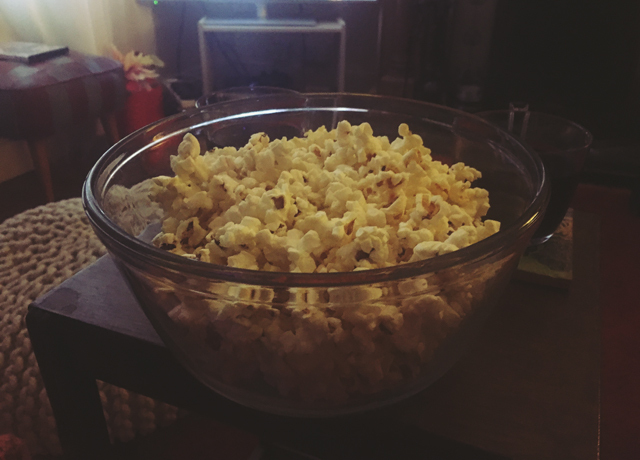 I love home movie nights, and it's so easy with Netflix too - homemade popcorn is the best! 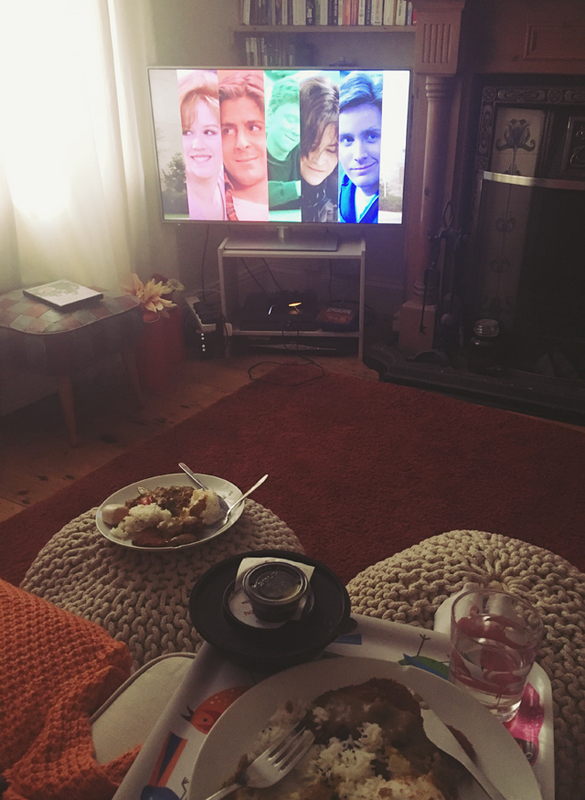 Honestly, that looks like my dream evening right now! 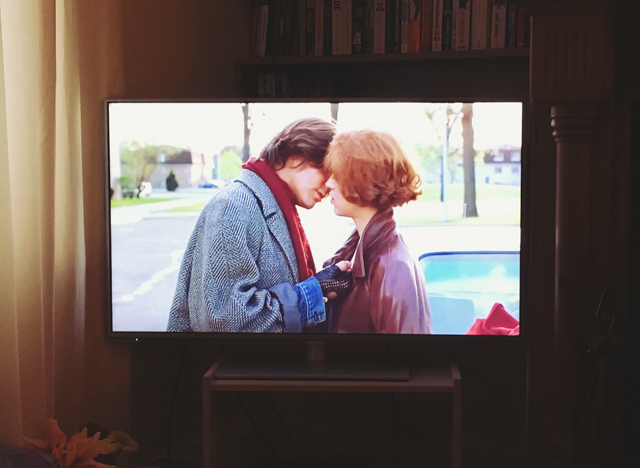 :) The Breakfast Club is such a great film! Looks like you had a great time. Sounds/looks like the perfect night in! That movie is sooo good as well, I especially adore the theme tune! You picked the absolute classics! My little sister is staying over tomorrow night so I think we'll have a #HomeMovieNight then.